SRAM's Eagle GX and Shimano's Ultegra groups are new products that apply top-level technology to more affordable products. The component companies are getting things right with drivetrains that offer the latest technologies at a lower price point. Both mountain bikers and road cyclists got good news this week. Shimano unveiled a new Ultegra group, and SRAM announced Eagle GX. 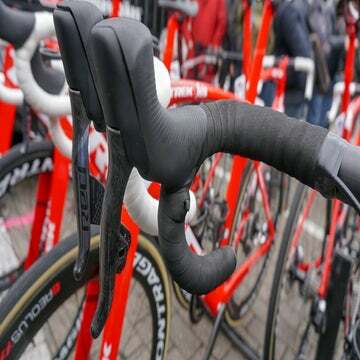 The groups both employ their companies’ latest technologies developed for elite-level components — Dura-Ace and Eagle XX1, respectively — in less-expensive packages. Sure, the more affordable options will be a bit heavier and less-refined, but you get many of the same key features as the top-dollar components. Most notably, the two groups offer more options and increased versatility with wider gear ranges and updated disc brake calipers. Shimano Ultegra R8000 is all about versatility. The group runs either Di2 electronic or mechanical shifting and both options are available with either rim brake or hydraulic disc brakes. That makes four total Ultegra groups to choose from. Ultegra R8000 includes Shimano’s widest-range cassette, 11-34T. It’s designed to fit both mountain bike and road-specific wheels (with spacers), opening up more wheel options. 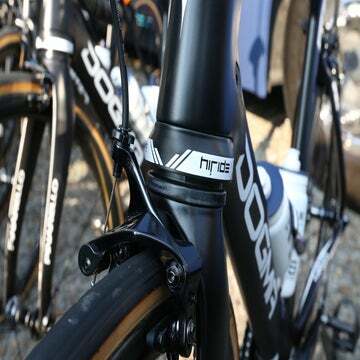 The group’s rim brakes are offered in both dual-pivot and direct-mount options — the same as the previous Ultegra group. However, the new dual-pivot option has clearance for 28mm tires to accommodate more tire and wheel combinations. The disc brake caliper is offered in a flat-mount design similar to Dura-Ace. Ultegra gets most of the same technology and features introduced with Dura-Ace 9100 last year including Shimano’s Shadow rear derailleur, refined ergonomics for the hoods and shifters, as well as Synchro and Semi-Synchro shift programming for Di2. Eagle GX offers the same wide-range mountain bike drivetrain as SRAM’s Eagle XX1 group, thanks to a 12-cog cassette. Each component looks and functions much like the top-of-the-line group but costs half as much. SRAM achieves this by reducing costs of production through different (and often heavier) designs. SRAM’s massive 10-50-tooth cassette is the heart of the Eagle 1x group. The XX1 cassette is produced as a single unit, which helps save weight, but also makes it very expensive at $420. GX, on the other hand, uses SRAM’s Full Pin design where each cog is held together with pins. While this adds weight (the GX cassette is 450 grams), it brings the price down to $195. The Eagle GX derailleur has a similar design as XX1. It includes a repositioned button to release clutch tension for removing the wheel. The new, less-expensive group includes most of the same performance features but if you want to swap around certain pieces with the more expensive offerings, all GX components are compatible with the Eagle XX1 drivetrain system. So whether you are a SRAM devotee or a Shimano lifer, mountain biker or roadie, the component manufacturers are on the right track. A lot of the technology that gives us wider gear ranges, better brakes, and more choices is now available at a more affordable price.